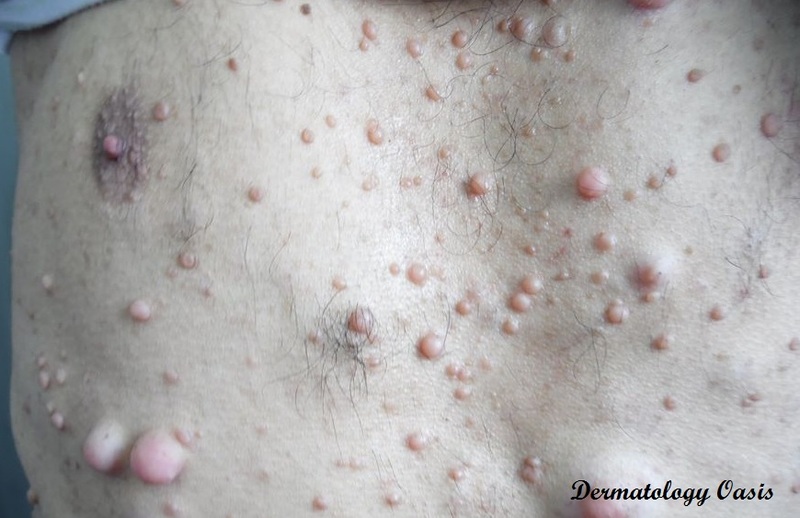 Asymptomatic, mutiple, skin-coloured soft tumors that can be pushed down into the panniculus by light pressure with the finger (“buttonholing”) and spring back when released. These nodules covered most of body areas and and their onset dated to early childhood. The father also has neurofibromatosis type I. Case presented by Dr. Ayman Abdelmaksoud, MD, Egypt.